If you don’t count the first quarter of 2016, when Magic Leap scored the lion’s share of its more than $1 billion in total funding, 2017’s second quarter account was, by far, the richest three months yet of investment in virtual reality and augmented reality. 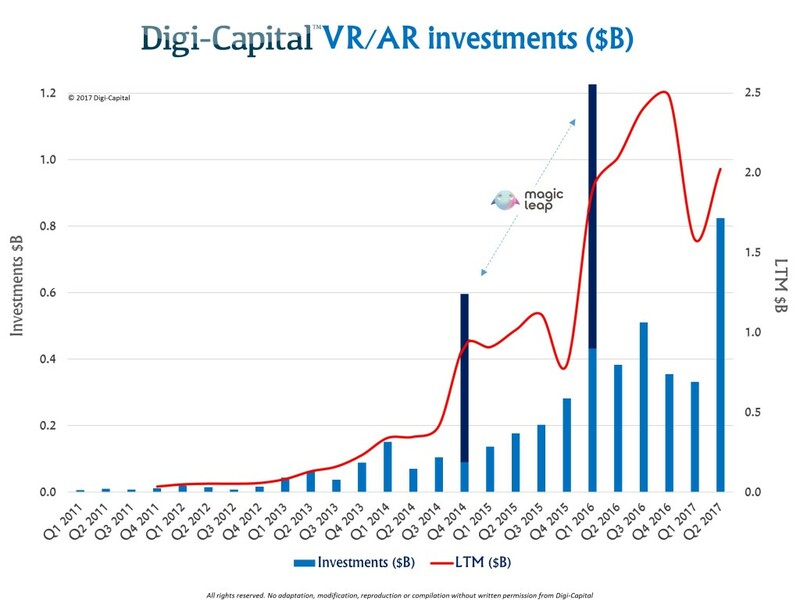 That’s according to a report out today from Digi-Capital, which concluded that Q2 investment activity in VR/AR totaled $800 million, way up from about $350 million in Q1, and just under $400 million in Q2 2016. The steep increase was driven by major investments in Improbable (more than $502 million) and Unity ($400 million). All told, Digi-Capital wrote, VR/AR investment over the last year came to just under $2 billion, and is trending upwards.